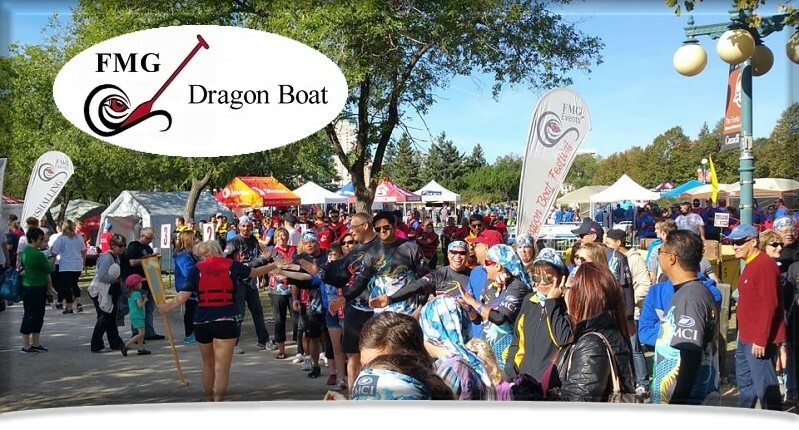 Facility Marketing Group / FMG Dragon Boat have been producing the Manitoba Dragon Boat Festival and Saskatoon Dragon Boat Festival for 24 years. In Winnipeg, dragon boat participants enjoy racing on the Red River at the Forks and in Saskatchewan, dragon boat participant's race on the South Saskatchewan River at Rotary Park Saskatoon. Winnipeg is known as River City. The Red River at the Forks offers a great venue for this corporate, team building event. Dragon Boat racing features teams of 22 paddling and rowing their way to victory. Dragon boat river festival events bring employees, friends and associates together to enjoy the fun and excitement of dragon boating. Facility Marketing Group Inc. - FMG Dragon Boat encourages you to get your team involved in dragon boating. Weather the Manitoba Dragon Boat Festival or Saskatoon Dragon Boat Festival we offer a great corporate team building and fundraising activity. Through the charities associated with these events over $550,000.00 is raised annually for community charities. Become part of the solution register your team today for one of these great dragon boat festivals. Click on the festival in your area to find out more!